Cushioned grip keeps the utensil in the hand–even when wet. 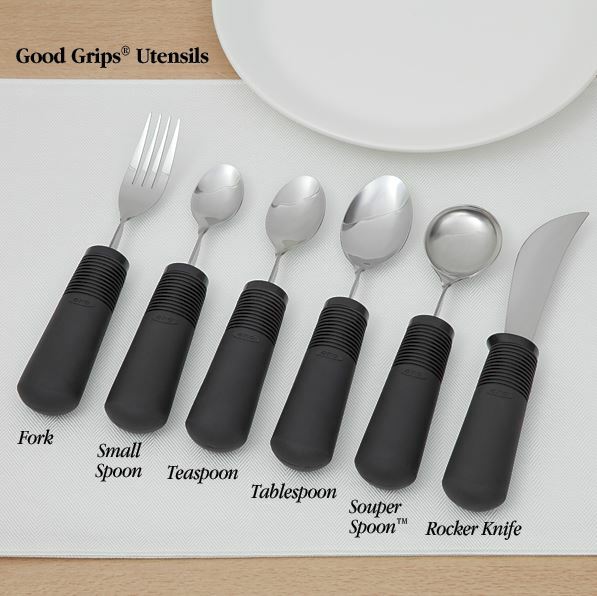 Good Grips® stainless steel utensils feature a 1-3/8″ (3.5cm) built-up handle. The soft, latex-free material has flexible ribbing that adapts to any grip. 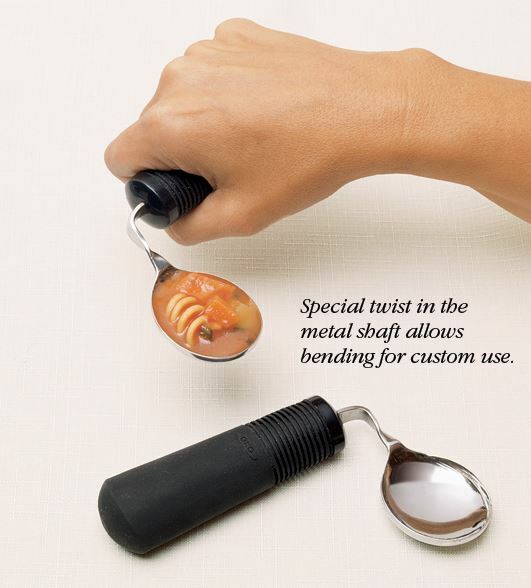 This handle design is so unique, it has a U.S. patent. 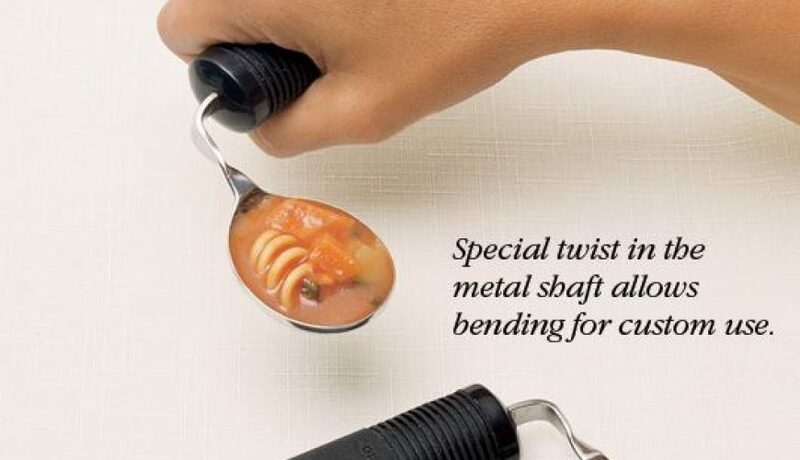 The forks and spoons have a special twist built into the metal shaft that allows them to be bent to any angle, for either left or right-handed use. This is a great solution for persons with limited hand-to-mouth reach. 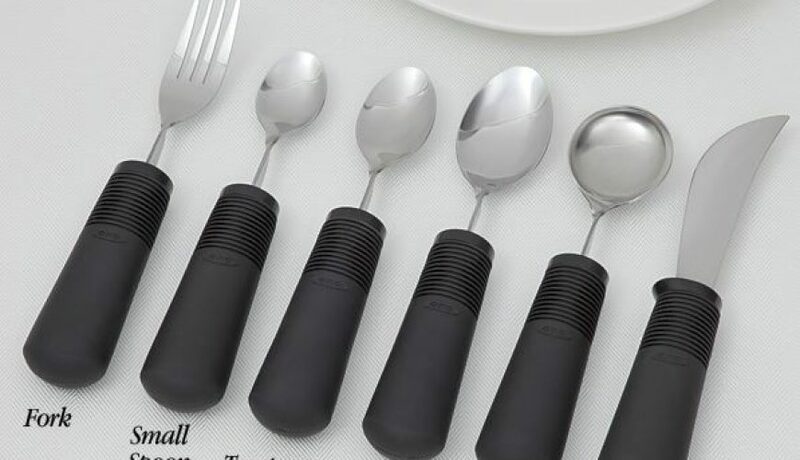 Persons with hand arthritis, neurological impairments or generalized weakness will find these utensils comfortable, less stressful to hold and easily adaptable. 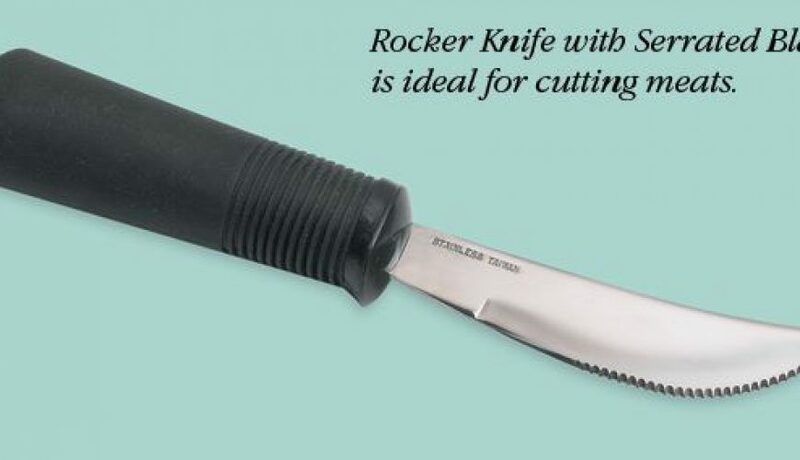 The special edge of the Serrated Rocker Knife provides added stability while cutting, including meat. 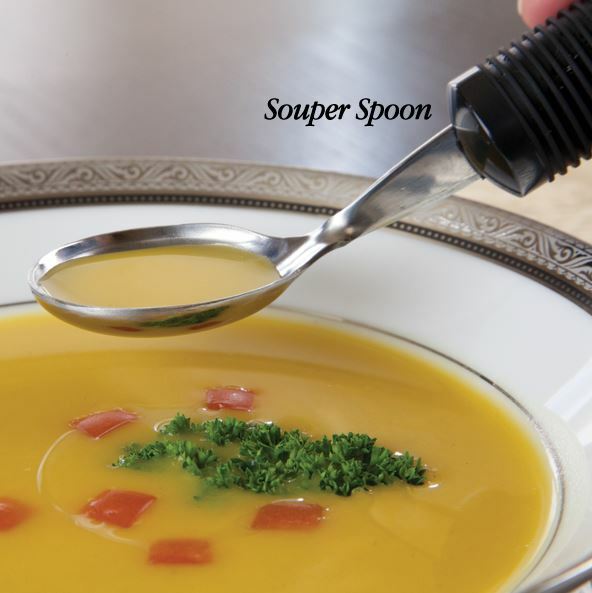 The Souper Spoon™ with raised lip is ideal for persons with tremors, poor hand control, arthritis, stroke, or Parkinson’s disease. 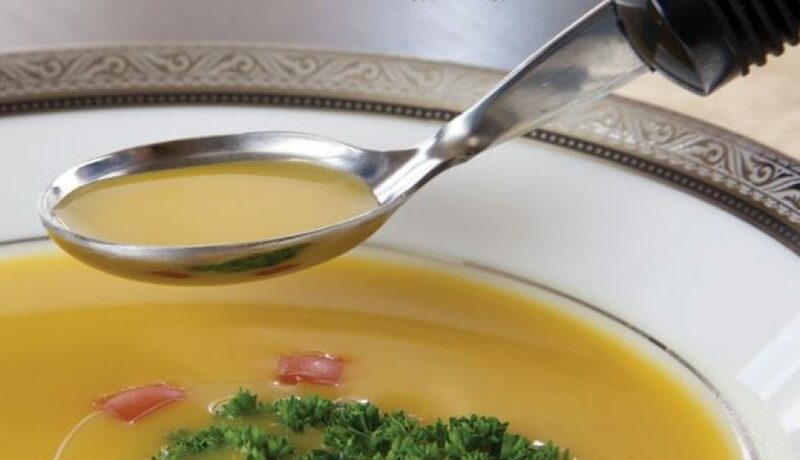 The innovative lip is specially designed to keep liquids and food on the spoon while moving from the plate to the mouth. All utensils are institutional dishwasher safe. Manufactured by North Coast Medical, Inc. 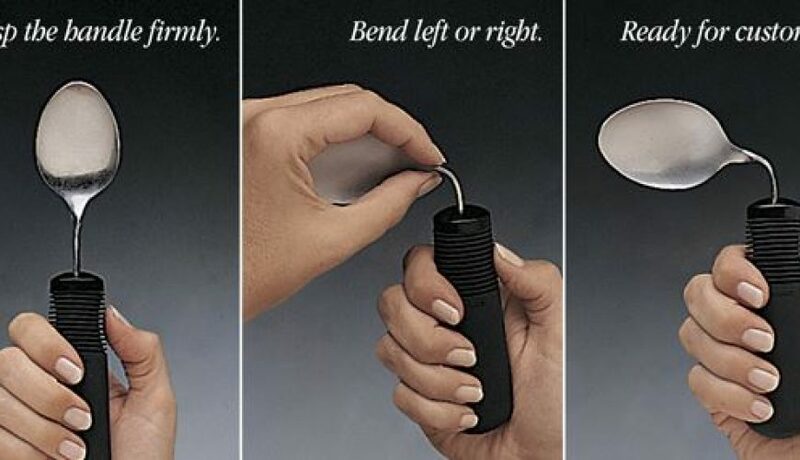 Licensed from Helen of Troy Limited, U.S. Patent Number RE37,190.